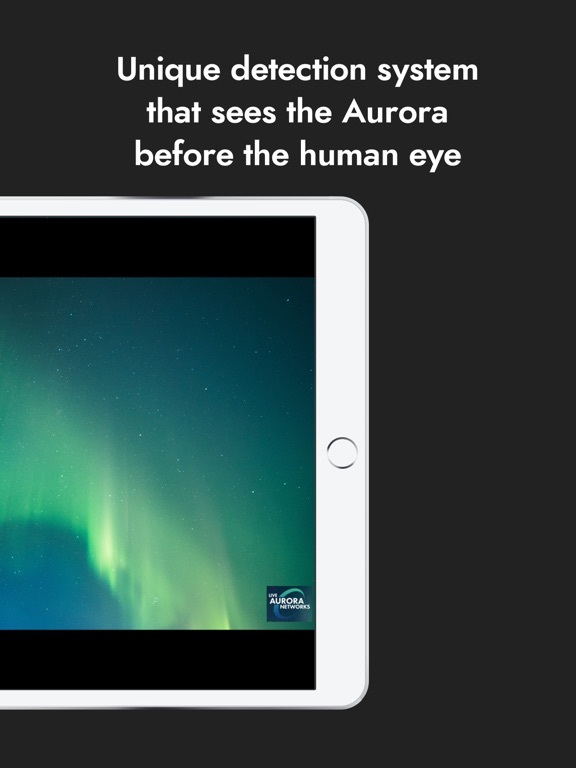 Never miss the Northern Lights Auroras! 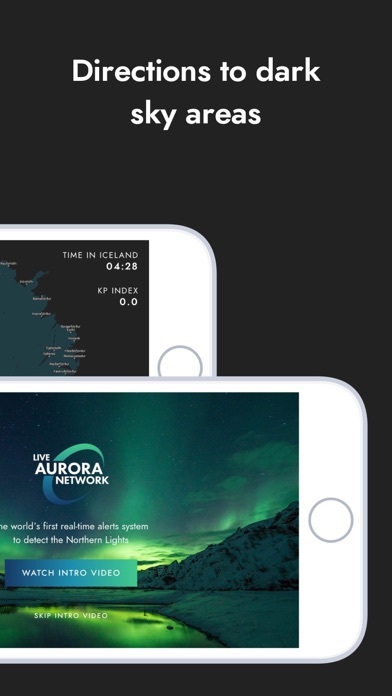 Live Aurora Network’s HD cameras around Iceland send you real-time alerts when the majestic aurora is detected. 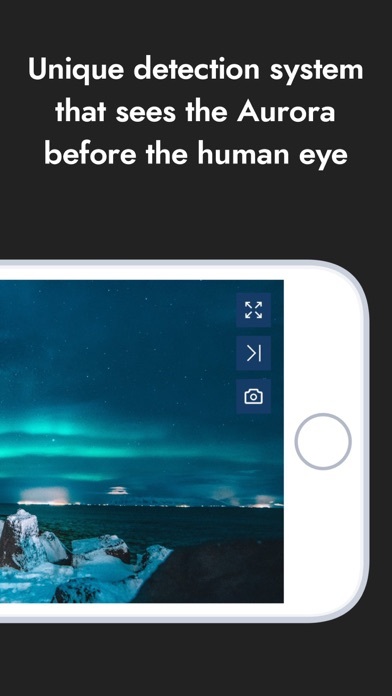 The only app that alerts you if the Northern Lights are showing. 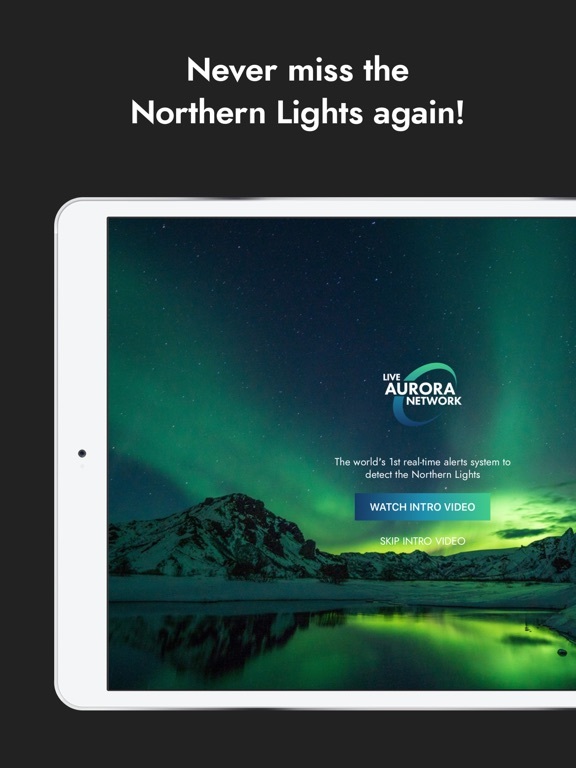 Don’t be left out in the cold without seeing the Aurora! 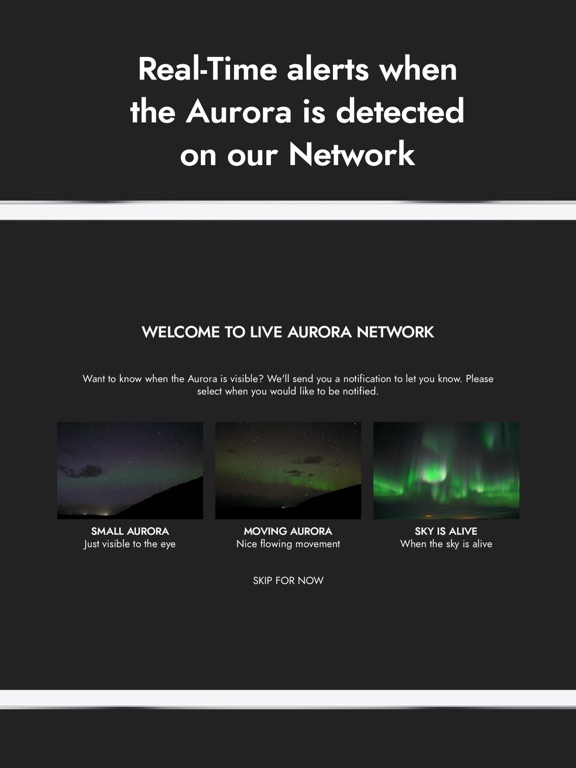 100% success at detecting the Aurora. 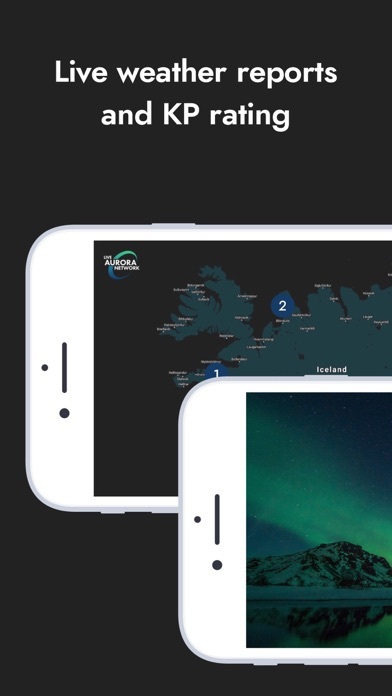 Zoomable map of Iceland with directions to our dark sky areas. 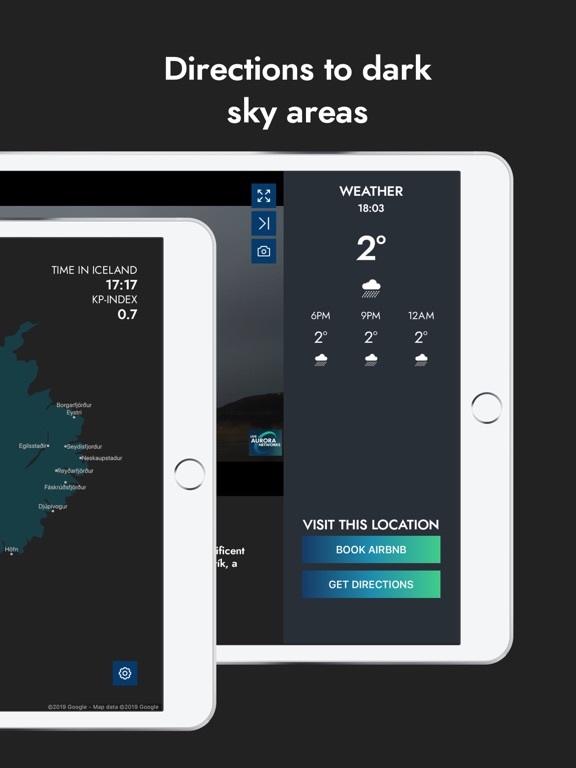 Localized weather forecast at each location. 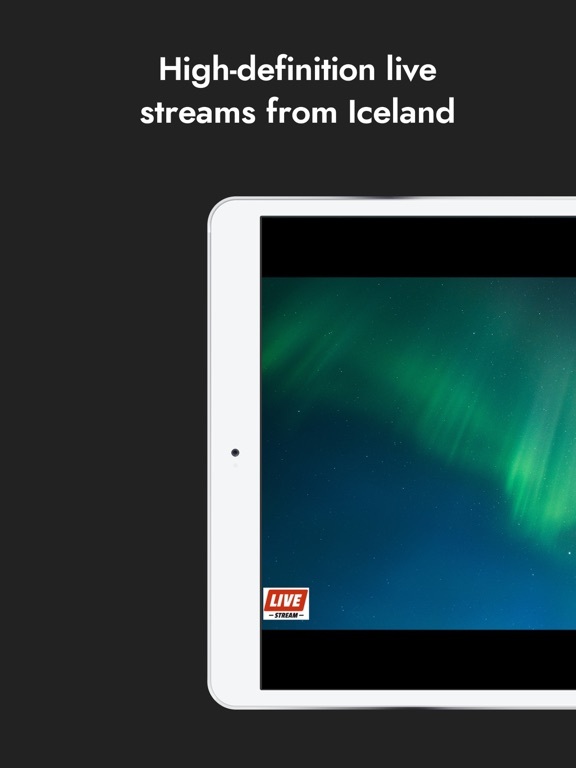 HD live stream from every location. Overlooking Eyjafjallajökull, the volcano that caused chaos with air traffic in 2010. Underneath a beautiful mountain range in West Iceland. Overlooking Iceland's biggest freshwater lake. 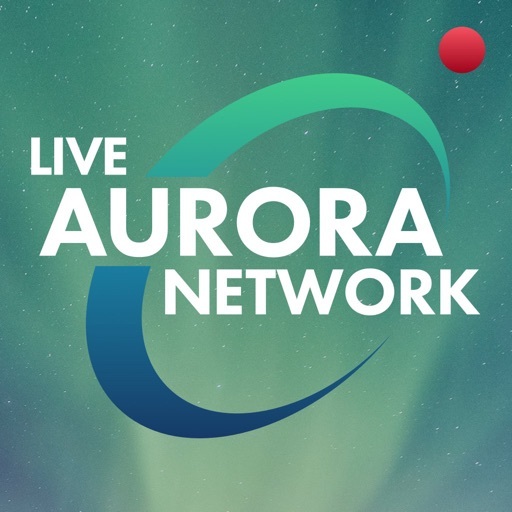 We provide sighting notifications for citizen science project @Aurorasaurus which is a part of The National Science Foundation INSPIRE program. Started by NASA employees. 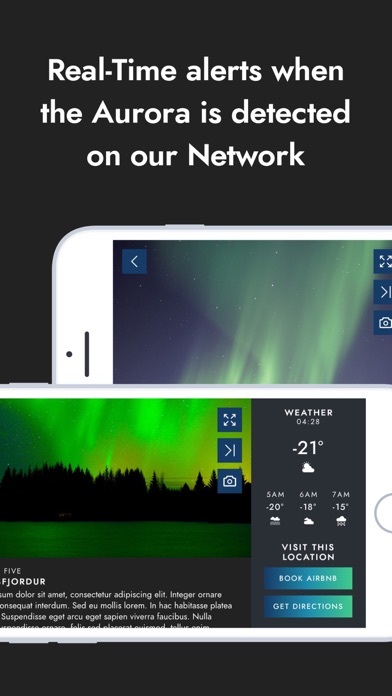 "This app is instant gratification for aurora lovers and forecasters alike. 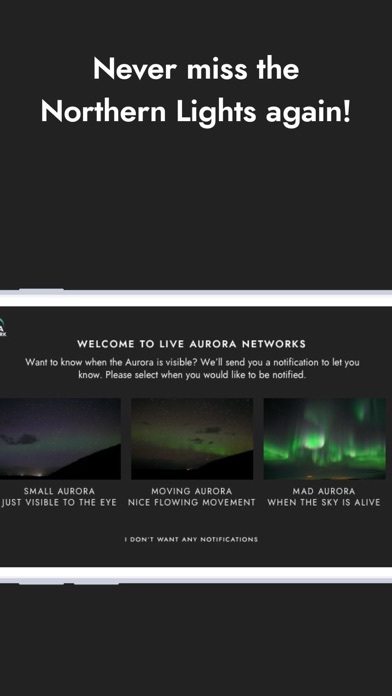 You can't get a better aurora alert than a live view. The cameras are such high quality too, you feel teleported straight to the action. 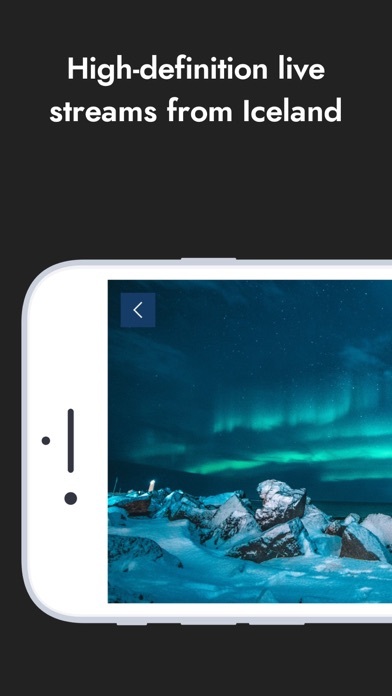 You can even see the stars twinkling as the aurora dances overhead. Its a totally unique and immersive experience."